Oxford University Press, USA, 9780190469818, 232pp. Metaphysicians should pay attention to quantum mechanics. Why? Not because it provides definitive answers to many metaphysical questions-the theory itself is remarkably silent on the nature of the physical world, and the various interpretations of the theory on offer present conflicting ontological pictures. Rather, quantum mechanics is essential to the metaphysician because it reshapes standard metaphysical debates and opens up unforeseen new metaphysical possibilities. Even if quantum mechanics provides few clear answers, there are good reasons to think that any adequate understanding of the quantum world will result in a radical reshaping of our classical world-view in some way or other. Whatever the world is like at the atomic scale, it is almost certainly not the swarm of particles pushed around by forces that is often presupposed. 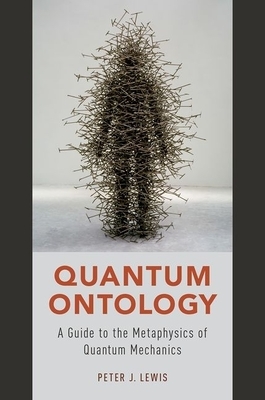 This book guides readers through the theory of quantum mechanics and its implications for metaphysics in a clear and accessible way. The theory and its various interpretations are presented with a minimum of technicality. The consequences of these interpretations for metaphysical debates concerning realism, indeterminacy, causation, determinism, holism, and individuality (among other topics) are explored in detail, stressing the novel form that the debates take given the empirical facts in the quantum domain. While quantum mechanics may not deliver unconditional pronouncements on these issues, the range of possibilities consistent with our knowledge of the empirical world is relatively small-and each possibility is metaphysically revisionary in some way. This book will appeal to researchers, students, and anybody else interested in how science informs our world-view. Peter Lewis is Associate Professor of Philosophy at the University of Miami. He studied physics at Oxford University and philosophy at the University of California, Irvine. His main research interest is how to understand quantum mechanics as a description of the physical world. He has published a number of articles in influential journals on various facets of this project.